Earlier this week, I had an opportunity to check out the Nordstrom End-of-Summer Clearance Sale, which began this past Wednesday. Over Labor Day Weekend, while retailers are practically giving summer items away, is an opportunity to grab pieces for fall – on promo. 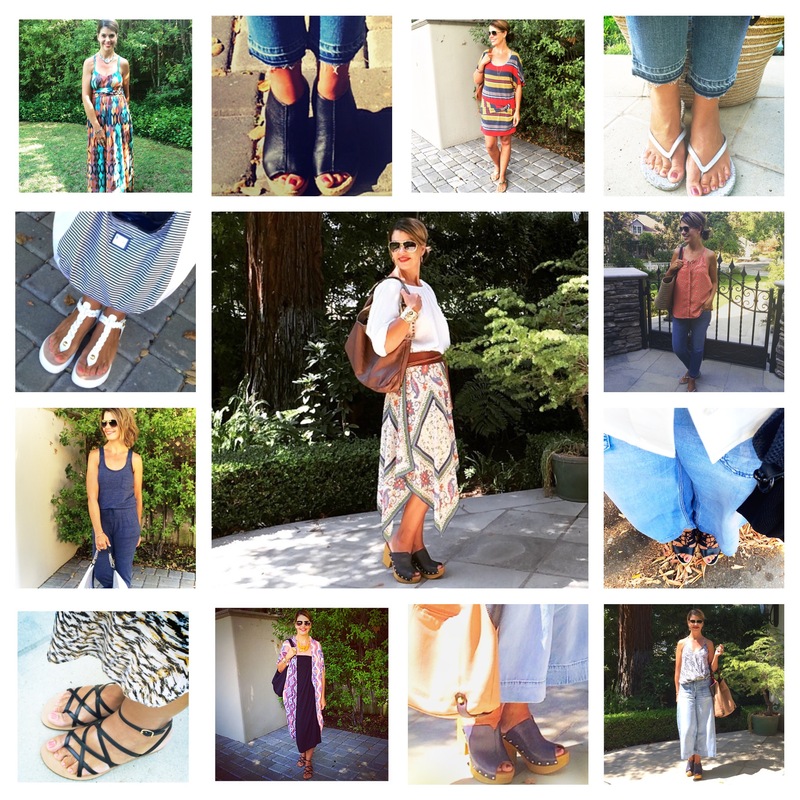 I found some great deals on items that can be worn now, and into fall. Many of the sweater and denim pieces I saw, were just on sale at the Nordstrom Anniversary pre-fall sale, are back, now on permanent markdown. 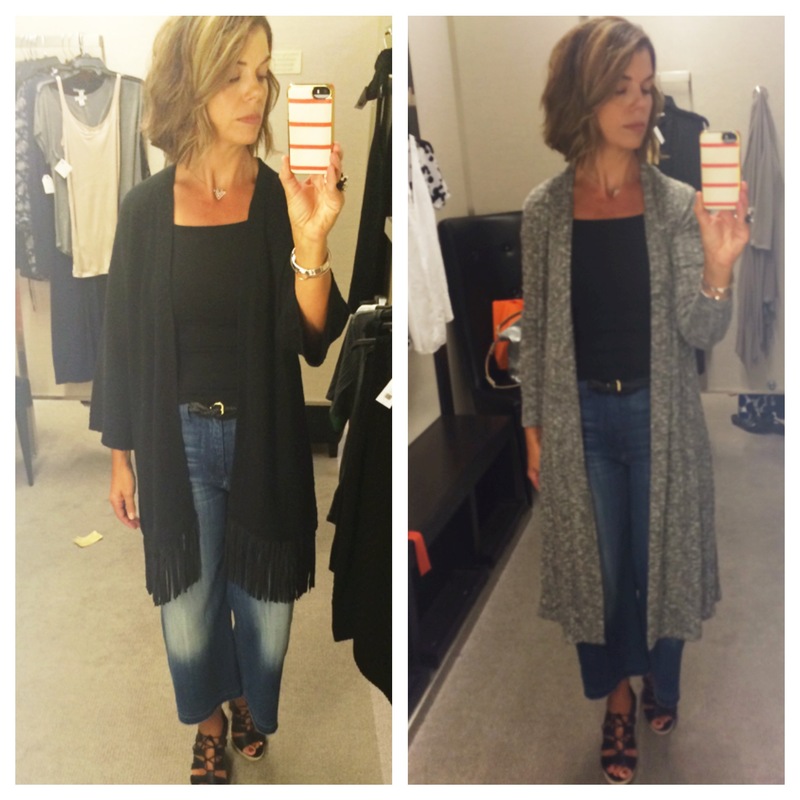 Long cardigans (loving them with flares and midi pencil skirts as well as culottes and crop pants), are trending big for fall, and I had some extra time to try a few pieces on, while visiting Nordstrom. 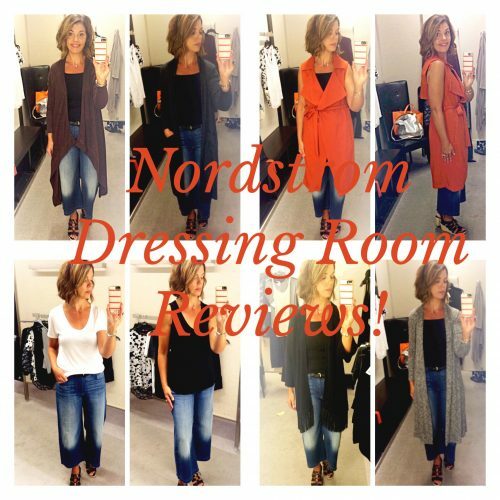 My dressing room reviews, cardigans at fab prices and the weekend sale scoop, are posted directly below my Nordstrom sale picks – in case you want to skip down, but why would you? 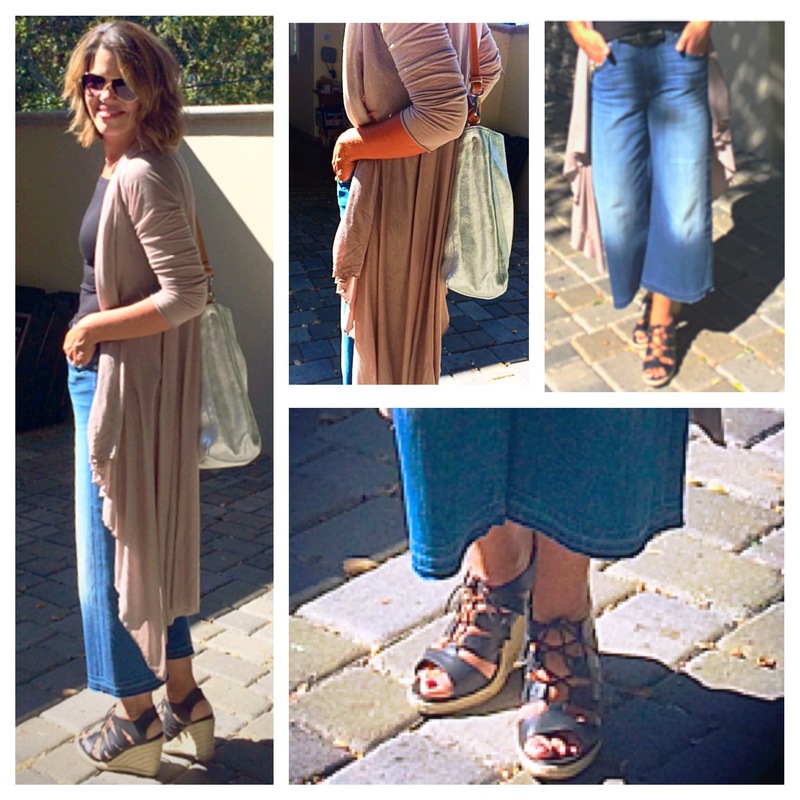 Here’s a look at some great finds – transitional fall pieces, to add a little zip into your wardrobe. Best part? They are all on sale! Click photo, on each set, for details and direct links to each item. Prices listed, are current sale prices. 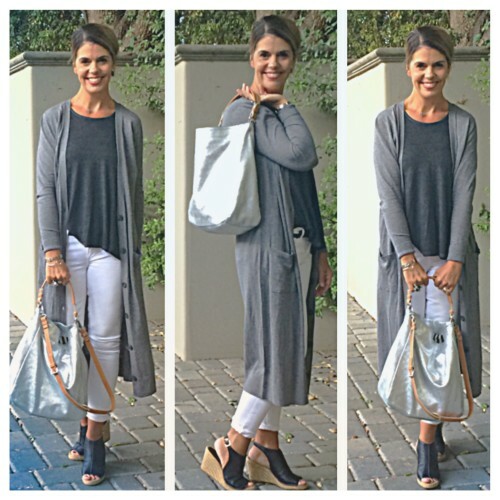 On-trend sweaters for fall at amazing prices! $29.00 ladies! What are you waiting for? You’ll thank me later! Outfit Details: Halogen long duster cardigan, Nordstrom. 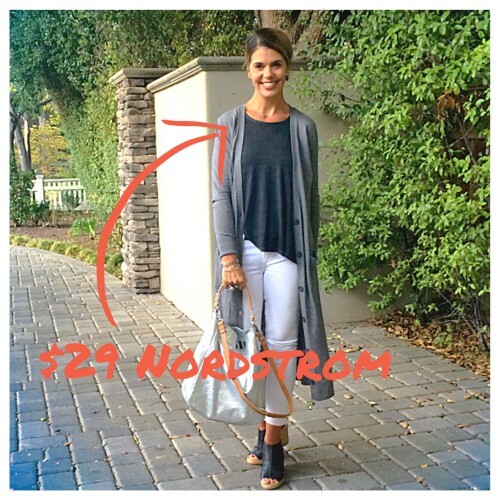 Now on sale for $29.00 in 4 colors in petite and regular HERE | Paige white skinny jeans, Nordstrom | Banana Republic espadrille wedges | Boden Maida Vale bag | Vintage tank, Papillon Los Altos | H&M black braided skinny belt, now in stores. 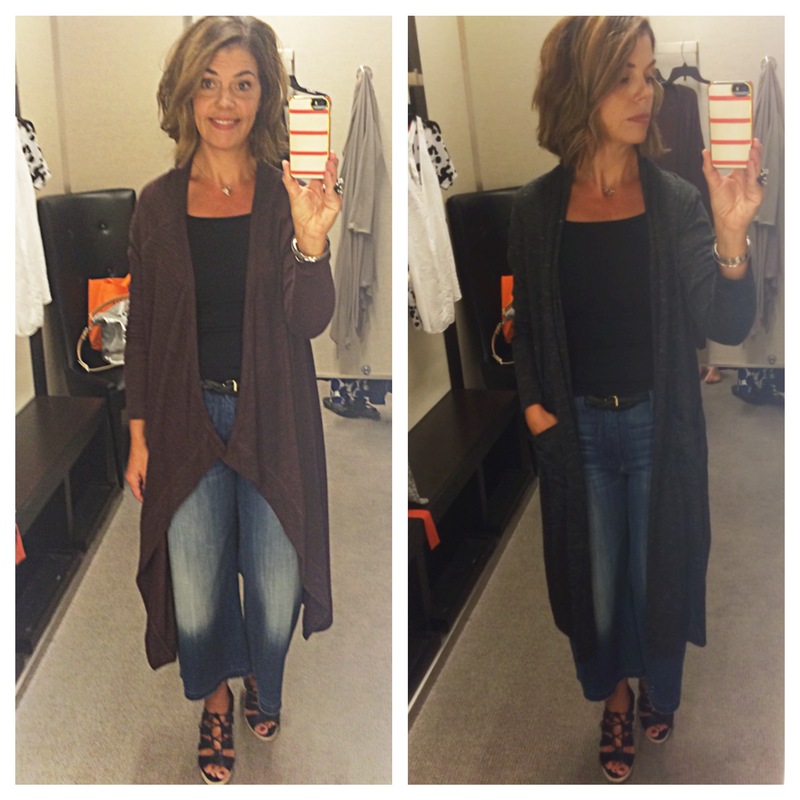 A look at a few more long sweaters, regular priced, but still well priced! 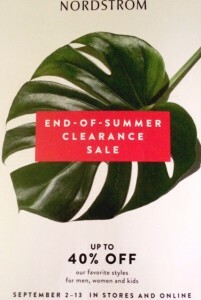 As I mentioned earlier, retailers are practically giving away summer/spring merchandise. 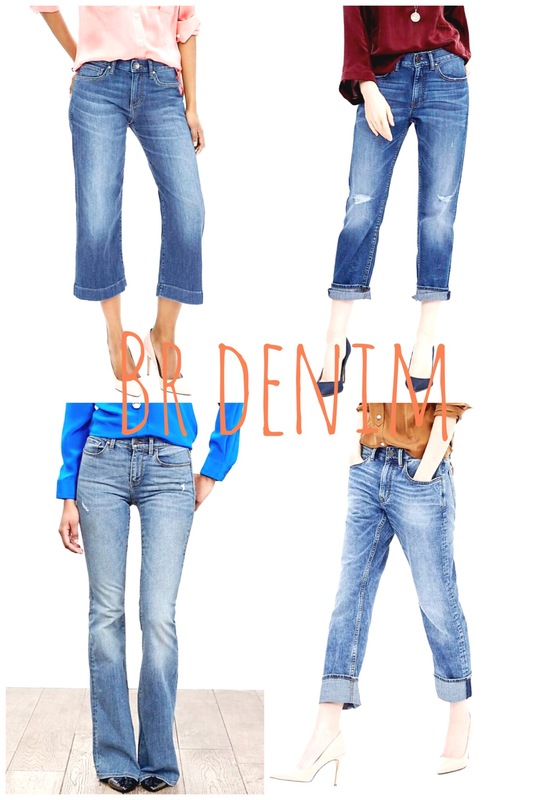 I find now is a great time to pick up basics like tees, lightweight sweaters, denim, lightweight jackets, dresses and accessories for a fraction of their original price. 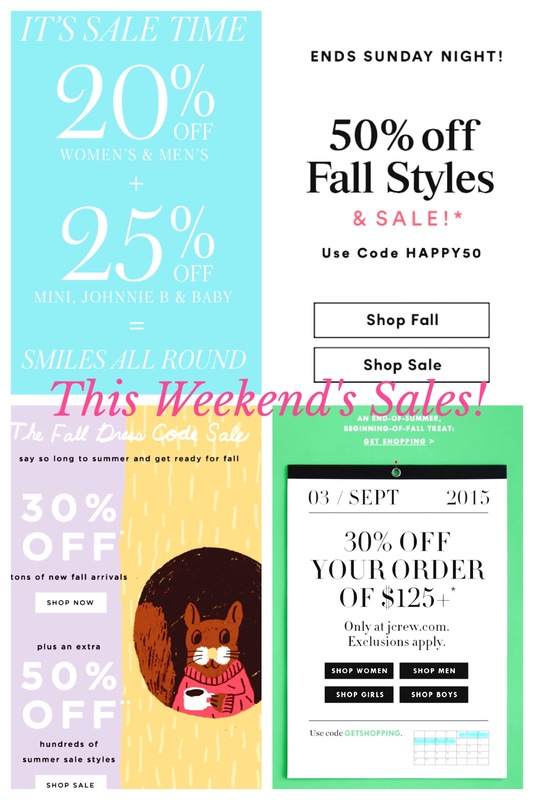 However, many retailers, after your fall dollars, are offering storewide promos this weekend. For me, the sales to check out for fall items this weekend, are at Ann Taylor, Boden, COS, JCrew, Madewell, Gap and Nordstrom. Since I couldn’t possibly cover all the fantastic weekend sales, if any of you have spotted some great deals, do drop a comment below, for all to see! Enjoy the long weekend and thanks for stopping by! 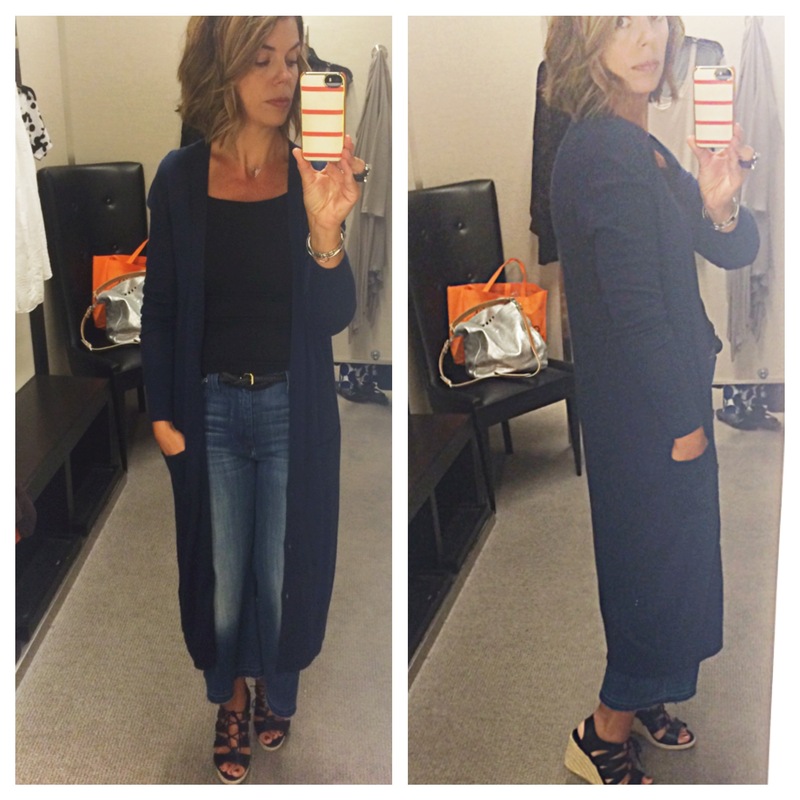 I love the long cardigans. How can I wear them for work? 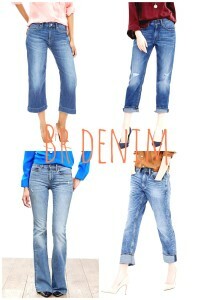 I am petite so I can’t wear the long white pant look on one of the images on here from Nordstrom.